Borrowed directly from ‘Gatherings’ by Jan Scott and Julie Van Rosendaal, not only did we love this salad, but I loved the fact that I could have the kale and Brussels sprouts all cleaned and chopped in my fridge a couple of days in advance. 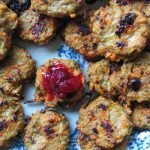 Having everything ready makes for a wonderfully quick and fresh weeknight meal (with anything barbecued), especially on these crazy hot summer nights – enjoy! 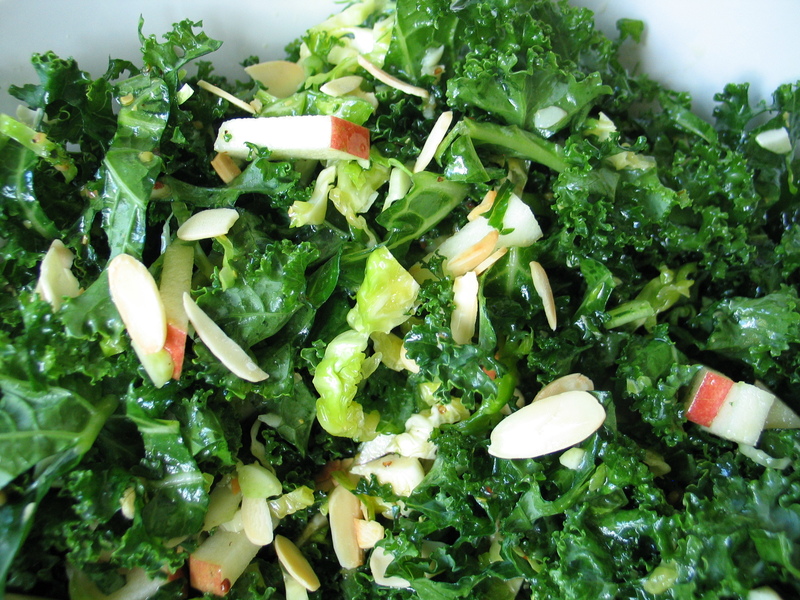 Add the kale, Brussels sprouts and apple (or pear) to a large salad bowl and have the almonds and cheese ready. To make the dressing, add all ingredients to a container or jar with a good seal, give it a good shake to mix, taste for seasonings and then dress and toss the salad as you would. Sprinkle with the almonds and cheese and serve it up!